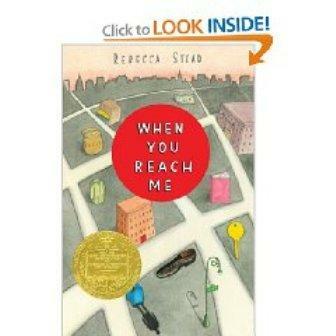 When You Reach Me by Rebecca Stead is considered by some to be an instant classic in children's literature. The award-winning book centers on a sixth-grader named Miranda and her extraordinary experiences during the late 1970s. Rebecca Stead's novel When You Reach Me won the admirable Newberry Medal in January 2010. Set in New York City in the late 1970s, the story involves a mysterious experience of a young girl as she receives cryptic notes that are apparently from the future. The notes are efforts to help Miranda avoid a tragedy that could possibly be on her horizon. The novel is written for children ages 10 to 14, but many adults can't put the book down after reading the first few lines. The novel is unique in that it can't be explained without giving away key elements to the story that can spoil the necessary surprises that make the book so fascinating. The reader travels through the events and meaning slowly emerges, conjuring further curiosity in the process. In a nutshell, the story is about a young girl who is losing familiar comforts in her life along with the realization that something ominous is lurking. The main character in Stead's book for young adults is named Miranda, an outstanding choice from a literary standpoint. As the character points out in the story, Shakespeare created the name but most associate Miranda with the Fifth Amendment ruling in favor of Ernesto Miranda, leading to the mandatory recitation of a suspected criminal's rights during an arrest. The significance of the main character's name is obvious in that her mother wanted to be a lawyer, but it has deeper significance as well. Shakespeare's Miranda is the daughter of a duke named Prospero in the play The Tempest. Her character lives a sheltered existence under the close watch of her father. Rebecca Stead's character has never met her father, a glaring contrast to Shakespeare's protagonist. Unlike the daughter in The Tempest, Stead's Miranda is immersed in real world experience in New York City, but things are about to take a strange turn. Also fascinating about the name is its etymology. Miranda comes from the Latin mirandus, meaning admirable and mirror is closely associated with the term. The novel does in some ways mirror A Wrinkle in Time, a classic novel for young adults. These subtexts are remarkable undercurrents for the sci-fi and fantasy elements in the novel. The seamless merging of a memoir-like composition with mystery and time travel makes Miranda's eerie adventure believable and even more stunning. Some critics of When You Reach Me by Rebecca Stead suggest that A Wrinkle in Time by Madeleine L'Engle is a prerequisite for the novel. It can be difficult to understand some parts of the story if you are not familiar with A Wrinkle in Time. However, others assert that Stead's story is strong enough to stand on its own in spite of the fact that it pays homage to L'Engle's novel. When You Reach Me by Rebecca Stead is a fast read that is organized in bite-sized chunks that are easily digested in spite of their deep philosophical undercurrents. The novel is a wonderful selection that can inspire parents to revisit A Wrinkle in Time, another Newberry Award winner, and it is certainly going to be on recommended reading lists for middle school.